Who will save the pastry chef from having a crumby birthday? 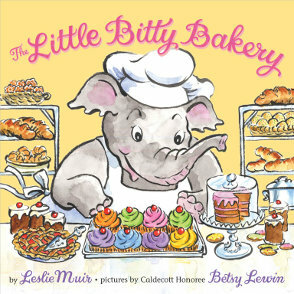 When a pastry chef bakes away her special day, she retires to bed with little hope of having a happy birthday. But in the middle of the night a mysteriously scrumptious smell awakens her. What happens when the chef tiptoes downstairs to investigate? Featured on the Food Network as a great holiday gift for kids!